Getting a visa is not required for citizens of America, Japan, Australia, Canada and European Union member states who plan on visiting Athens for less than 90 days. 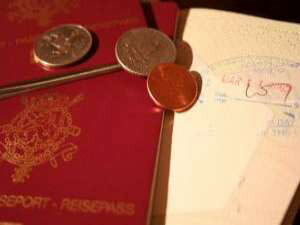 Intended travelers will need to fulfill the following requirements to get a travel visa to Greece. These include a passport that is valid for the next 6 months, 2 photos, bank statements for the last three months for proof of sufficient funds for the duration of your stay in Greece, tax returns for the last three years, travel insurance [a letter issued by the insurance company ensuring that you have this], a hotel reservation in Athens or a letter from someone in Athens inviting you there, booking of a return ticket/ your itinerary and last of all a completed application form [these forms are acquired from the Greek Embassy]. Nationals of the United Arab Emirates should contact the Greek Embassy or Consulate in Abu Dhabi for information.